Join our lightning rod of fact or fiction about common SEO myths. We “take to the air” (Christian Smedberg, Lane Taylor and I) to have a fun round of “SEO Fact or Fiction” on camera. Once you get the SEO on your website set up correctly – you’ll see results very quickly. We share the truth around how quickly (or slowly) you can anticipate increased traffic and conversions from your website. You should get as many backlinks on your site as possible, regardless of how you get them. What’s true is that not all backlinks are created equal. “Back in the day” you could create sites and back links just for the sake of creating sites and backlinks and Google would let you get away with it. Google doesn’t like that “trick” anymore, so we go into detail about what to do about backlinks in the recording. Google, and really all social media platforms, are just like humans. They work best when there are relationships between people. 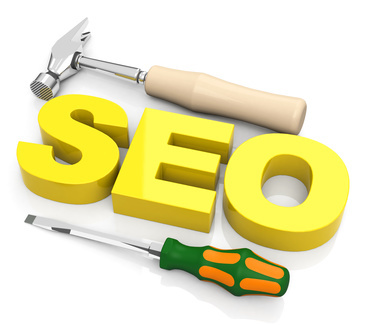 You have to be a professional code writer in order to effectively set up SEO on a website. Truth is that your marketing and sales team probably have better language to use than someone who focuses only on IT. You can buy the top spot on Google. You just might be able to write that check – but it’s likely for a category or keyword that has very little to do with your business. So make sure you have a full list of the keywords being used and what the rankings are. Consumers (people) want the best, legitimate matches for their search. Not the crappy results. Put yourself in the shoes of the consumer searching when you’re working on SEO. It’s true that Google doesn’t “see” images. But Google sees code and alt text, so if you include that with your photos, you’ll get better results. And make sure your images are sized correctly. Images that are too large slow things down and that has a negative impact on your site and search. Use as many keywords as you possibly can to help improve search. Keyword stuffing is an outdated practice that does not work. Nobody wants to read that kind of crap. You need to either be a great content writer, or hire one. Content marketing is not something to ignore. It’s actually one of the most valuable tools in your marketing toolbox.